Most Americans might not be aware of this, but milk actually happens to be one of the most popular tea additives in the world because of the sheer texture, consistency and flavor it instantly adds to every tea made. And of course, with the increasing options of milks, like peanut milk, soy milk, almond milk, coconut milk and what not, to choose from today, there’s no limit to how much you can experiment with your cup of tea. Of course, when it comes to tea, it all boils down to one’s personal preferences regarding the number of sugar cubes or amount of milk added, which is why you can easily tweak the ingredient amounts listed below to your liking! Let your milk come to a boiling point in the sauce pan, after which you can add all the above ingredients mentioned. Lower your flame to minimum, and let everything boil in the milk for 5 minutes. Strain, serve and enjoy! This tea recipe again originates from India. This drink is potent because not only does it warm your body, but its anti-inflammatory properties also help your body fight infections. Its recipe is the same as the recipe of Masala Chai, with the exception being that you add an extra tsp. of turmeric powder to the mix. 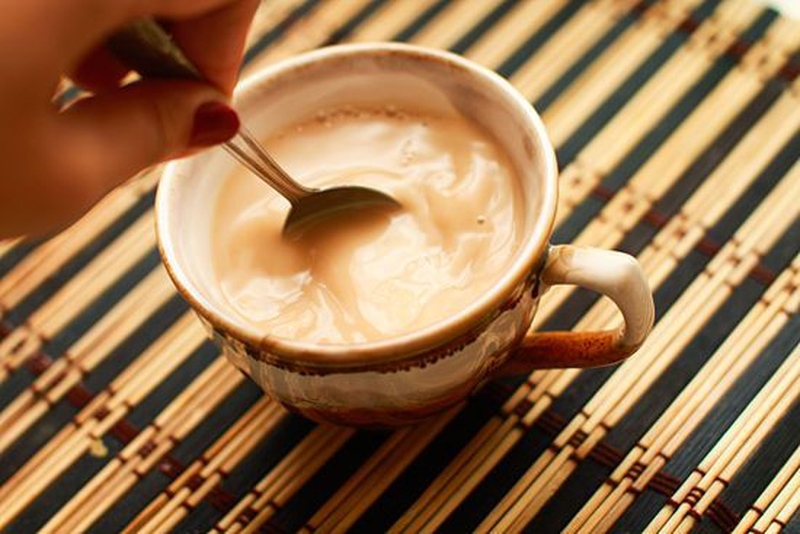 You can go ahead and experiment by using half a cup of water and half a cup of milk, instead of making a whole milk tea. Coconut and almond milk work best for this recipe. Take the matcha powder and agave into a container, and add warm water to the mixture. Whip until it becomes a paste of watery consistency, add vanilla essence and then slowly add warm milk to the mixture. And there, that is all there is to it! You can drink this both hot or cold. Thai people usually drink it alongside their meals. First, boil the water and then little by little, add sugar and the tea mix to it. Stir till everything is dissolved, and then add milk or half and half to the mixture. Let it boil for another 5 minutes at low heat, and then keep it aside for half an hour so that it may steep. Serve hot or cold! Boil the water, and then pour it into a cup with the tea bag inside it. Let it remain so for 2 minutes if you’re okay with medium strong tea to 5 minutes for very strong tea, and then add sugar and milk. That’s it! You’re good to go. Boil the water, pour it into a cup, add the tea bags and let them sit for 3-8 minutes, depending on how strong you want your tea to be. Remove the bags, add milk and sugar, and stir. Pull the tea, create a froth, and you’re good to go! Server responsed at: 04/25/2019 9:47 p.m.